Team sports games are not my forte. Actually I’m pretty bad at them. The more complicated they get, the more focus I have to expend on divergent numbers of teammates all working to accomplish something in concert, the worse off I fare. If I’m really being honest, with anything significantly more involved than Virtua Tennis, I’m lost. Pro Evolution Soccer is a game that, while not exactly made for people like me, at least feels like it takes pity on us poor wretches. PES 2012 is an aggressive game. Especially when compared to competing franchises like FIFA 2012, this is a game that wants you to get the dang ball and press the attack with all your might. I’m terrible at sports games (did I mention that already? ), and usually don’t have the patience to carefully plan strategies or mentally manage the comings and goings of multiple players, so this suits me just fine. I’m actually pretty decent at RTSes, which theoretically require a much higher amount of micromanaging and switching focus frantically between groups of units doing completely different tasks in a sngle split second, so I don’t know why I’m so bad at controlling one team of less than ten guys. There must be some gene that makes people equally bad at real and fake sports, which I obviously have; nevertheless, PES is pretty good about making up for my shortcomings, and offers a control scheme designed to streamline the complexities of competitive football. As an example, it’s trivial – in theory – to designate the target man for a pass or shot with a flick of the control stick, and once the ball is launched away, another click will give you control, enabling a series of rapid-fire passes and crosses down the field. In practice, though, it’s trickier than it sounds. The heat of football battle invariably degenerates into a flurry of button-mashing, and the finesse required to successfully execute complex transitions is a bit beyond me. Only time will tell whether this is just because I’m, once again, terrible at sports games, and if the majority of players have these same issues, or if it’s just a matter of people who aren’t biologically flawed putting in the time to get the control scheme programmed into their muscle memory. The new “Active AI” system is also something of a boon to those whose skills are a bit deficient, as your computerized teammates will swarm to defend when the other team is on the attack, and make it easier to recapture the ball and start pushing your advantage downfield in the right direction. It does, however, have the unfortunate side-effect of running the ball out of bounds with irritating regularity; get ready for a boatload of throw-ins until you get possession back. That’s better than enduring a series of regular and shameful points scored against you, but there’s still room for improvement. 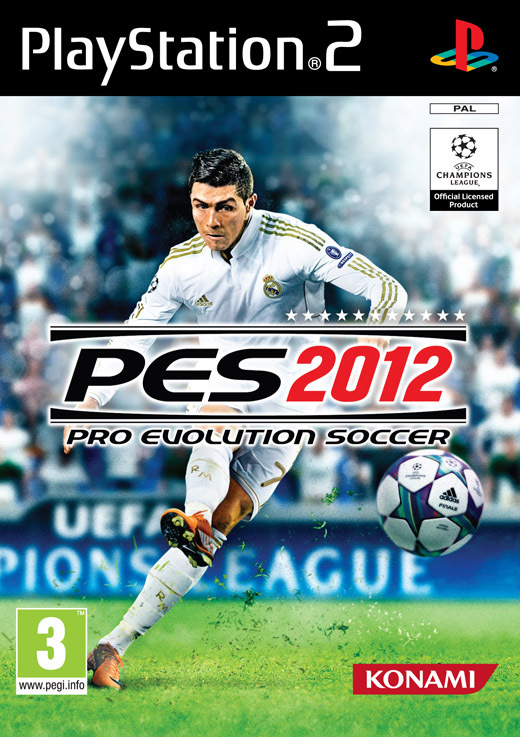 All in all, for a game that represents really an incremental improvement in the genre of games about playing real-life games with balls, what’s missing most for PES 2012 is polish. The several managerial modes that take you off the field and into the process of putting together a winning franchise are engrossing, but pretty light on presentation. Multiplayer is this game’s shining star, but the process of setting up a game can be laughably complicated, especially for just a simple 1v1 match with a friend online. All things considered, I probably could have done without some of the time invested in interesting but dubiously successful control enhancements, if it would mean that someone would actually have listened to the playtesters who must have sent a flurry of emails after the first multiplayer test run.